Ensure your laptops are always ready for the next lesson with this 16 bay laptop charging trolley. 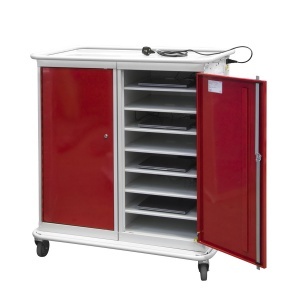 This wide version is essentially 2 x 8 compartment locker units mounted onto a wheeled base. This configuration gives you 2 doors for easy access for more than one person at the same time and make for an easy way to transfer up to 16 devices between classrooms. 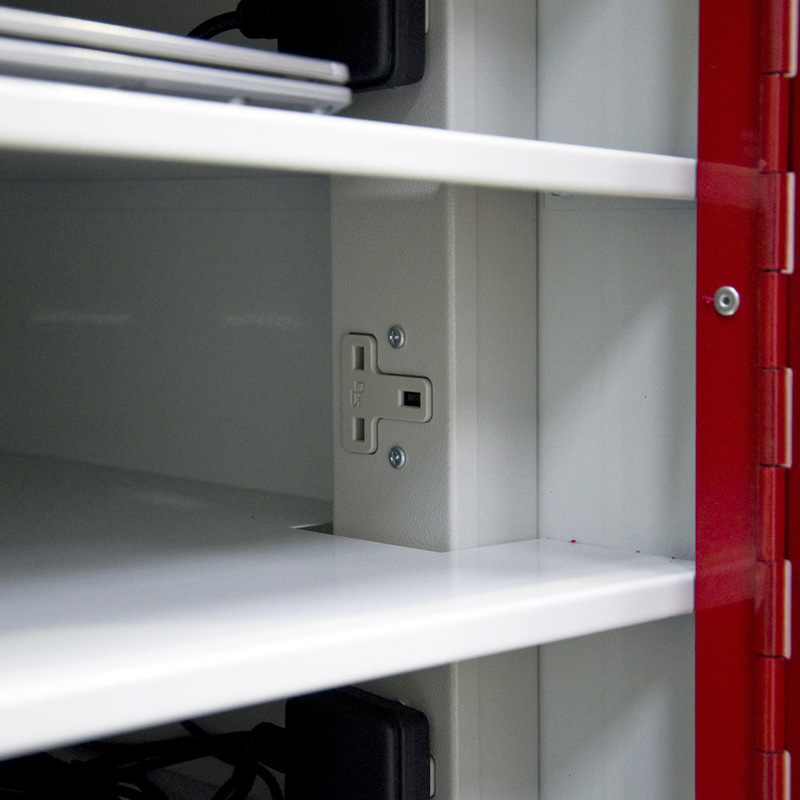 Inside the unit, each compartment is equipped with a 3 pin plug socket to allow any brand of laptop, netbook or tablet to be charged safely between lessons or overnight.